February 3rd in Themes for Real Estate Pros by Wordpress Jedi . 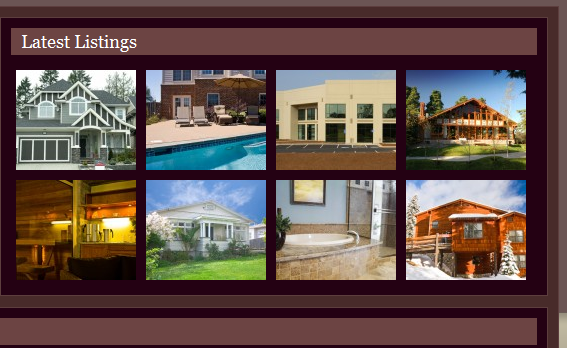 Real estate themes for WordPress seem to be very popular these days. In these tough economic times, there are plenty of real estate agents and brokers that are looking at different ways to expand their business and stay profitable. One way to do that is by building real estate portals that are easy to use and let visitors search through listings easily. Main Street is one of those themes that allows you to do just that. It’s a powerful real estate theme for WordPress that lets you add your own listings and display all the relevant information your visitors need to choose the property of their dreams. 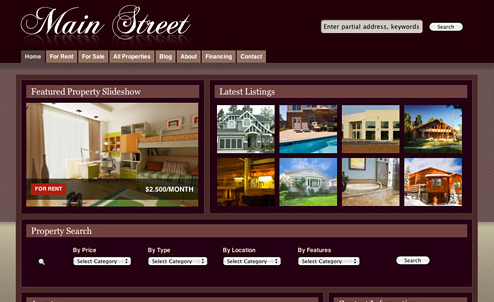 Main Street is colorful realty WP theme that lets you add all your properties to your portal easily. It is very image friendly and can handle your property images and your description easily. The theme is based on a powerful framework that makes changing things around much easier. So you can add, modify, and delete things without having to jump through the hoops. The theme not only comes with an attractive gallery, it also lets your visitors search through your listings across multiple categories. So they’ll always have plenty of ways to filter through your listings. 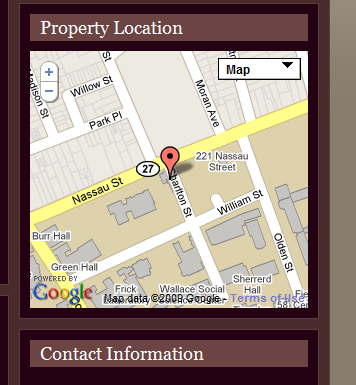 What I love about this real estate theme (which is something that is becoming a norm among top WP themes in this category) is Google map integration. This feature provides your visitors with a more convenient way to find their way to the location of the property they want to visit. The bulk upload feature also comes in handy. You can upload multiple images and re-size theme easily using this theme. As far as customization goes, this theme comes with 8 color schemes. So you’ll have plenty to choose from. It’s compatible with WordPress 2.9 too! All in all, another very solid WordPress theme from Gorilla themes.